Well good morning! 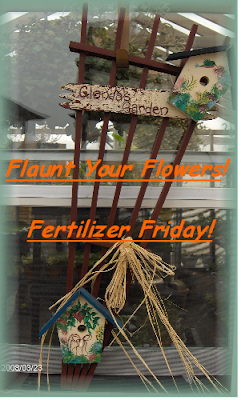 It's Friday and better yet, it's Fertilizer Friday again over at Tootsie's place. Pop over and check out Tootsie's gorgeous gardens and all of the other beautiful gardens on display with Mr. Linky. I haven't participated the past couple of weeks because I haven't had a single new bloomer in my yard, and all the pretty annuals - except the impatiens in the shade - are fading away under the summer heat. That's what happens down south. Anyway, I'm finally beginning to get a few new blooms, so here's my offering for this week, with a few garden buddies thrown in for fun. I've got some roses again, but I'll have to try to catch them next time. Enjoy! My Natchez Crepe Myrtle is finally blooming. It seemed kinda slow coming this year. I'm still waitin' on that Sasanqua Camellia Alabama Beauty - she's barely got buds on her. The Dahlias I transplanted made it and are just beginning to bloom. I'd been hoping that some of the ones that I salvaged were gonna be the Fringed Strawberry Sunday, but this bloom is one of the older ones I put in several years ago. I thought it was the Dahlia Mystery Day, but there's no white tips, so I'm not sure which variety this one is! The heat had done most of them in and I lost them but when these started popping up, I moved them to a slightly more shaded area this year to see if they would survive. My other hibiscus (the name escapes me for now) finally started blooming, yay! This was a Mother's Day gift a couple years ago from my son and DIL and it's about 7 feet tall now. This is one of the Princess Di Cannas finally blooming. They are a lower growing Canna and I only have a few of them down, but they're mixed in with the yellow cannas which haven't bloomed much this summer. They're new plantings though so maybe next year. These are called Ragin' Cajun Ruellas. With a name like that, you know I had to get them!! One of the hydrangeas that is in a bit more shade just began blooming recently. The others are mostly bloomed out. The Purple Heart is still blooming. This shade bed is actually still hanging in there. A huge and gorgeous bee on the Athens Rose Lantana. 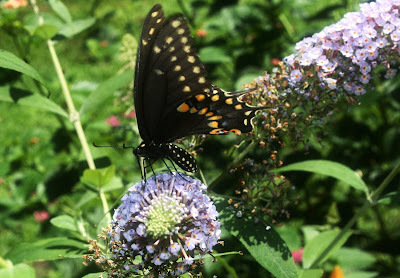 A butterfly on the, well, Buddleia Butterfly Heaven Butterfly Bush! And my flirtatious little dragonflies. These are actually all different ones in each shot. Two of them are babies, two of them more mature. Sometimes they are all out there at one time and they follow me around. They land close by where I am and I talk to them. I swear they are listening!! And they LOVE to pose for pictures. Different bee on the other lantana plant. One of my many lizards - this one apparently likes to live on the patio table, which seems constantly cluttered giving lots of hiding places. As you see, they flirt a lot too. Apparently wasps love the taste of figs too. I caught this guy flying around one of the ones that had been pecked at by the birds and he'd take a piece, and then settle on a leaf to eat it. I don't mind the wasps - they have a job to do in the garden - so long as they leave me alone! And this gorgeous butterfly is always around. I've actually had a lot of butterflies this year, so I definitely want to put in some more butterfly attracting plants. You really have some beauties, love your garden buddies. Happy FF! I just love crepe myrtle...it is rare to see one up here though! Your butterfly in the last picture is gorgeous! Lovely pics Mary, and I like how you put your name on your recipe pics....very good idea!!!!! Great pictures and gorgeous flowers! 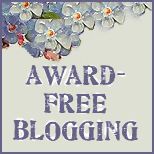 I look forward to spending some more time touring your gardens through your blog! how do you manage to get such great shots of the bugs!!!? I must be too noisy and they all fly away! Your garden is looking lovely...love the myrtle....wish for one here! thanks for linking in girl!!! Those are wonderful photos. 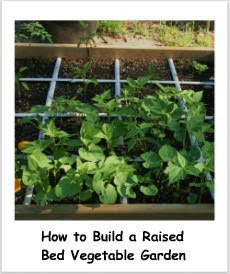 We allcan see how your garden grows, Mary. It looks wonderful. Thanks ladies! I do have a few other things still blooming a bit, but hate showing them over and over. The petunias are pretty much shot already. I love the garden buddies the best of all!! Welcome Colleen! If you click on the Fertilizer Friday label at the bottom of the post, you can see my past FF posts. Tootsie, you do have to kind of sneak up on 'em, talk real sweet too them and a zoom lens helps - not a telephoto, but I use a 18-55mm f/3.5-5.6 lens in the garden. You still gotta get close but the lens will bring it in a bit tighter. The Canon Rebel is a 10.1 mp camera too, so you can tighten in with a crop and still retain the quality of the shot. Hey there Mary, sweet garden! It's been way too hot here and almost NO RAIN??? Normally we have to mow almost twice in a week during July and August. No way would I be shooting a wasp pic. We have lots of wasps and they always, yes always go for my hair! Beautiful flowers and visitors. I love the hibiscus and the hydrangea is a really pretty one. We've had lots of dragonflies here lately, but they never stop to pose. They're too busy swooping around catching other bugs. Beautiful! Our crepe myrtle is very slow this year too. But bloom wise, I think it's looking it's best.